Unlike the USA, Canada welcomes Mexicans. Mexico now has a special agreement with Canada allowing its citizens to visit Canada without a visa. The process is usually fast and can be approved within minutes. From December 1, 2016, Mexican citizens will no longer require a visa to temporarily visit Canada, either for study, work or holiday. Once the visa requirement is lifted, Mexican citizens will only need to acquire an Electronic Travel Authorisation (eTA) if travelling to Canada by air. Ahead of this historic change, the government of Canada has announced that from November 25, 2016, Mexican citizens can apply for an eTA in advance. The eTA process is simpler and much shorter, and Mexico will now join a host of other countries that have a special agreement with Canada allowing its citizens to visit Canada without a visa. An eTA is an electronic document linked to an individual’s passport, and the application is completed online although in other cases a paper application is used. The process is usually fast and can be approved within minutes, an eTA is typically valid for five years or until an individual’s passport expires, whichever comes first. After the visa lifting on December 1, 2016, Mexican citizens travelling to Canada by air will need an eTA whereas those travelling by land or sea will need to present their travelling document, a passport for example, at the port of entry into Canada. 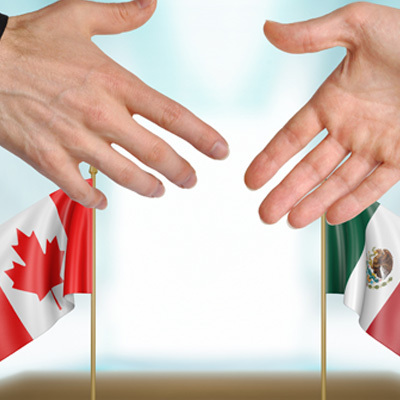 The visa requirement imposed on Mexicans was introduced in 2009, and has been hugely unpopular, causing a of strain in the relationship between Mexico and Canada. In a bid improve relations, travel and trade between Mexico and Canada, Canadian Prime Minister Justin Trudeau has successfully called for the removal of the visa requirement. In a statement, the Prime Minister said, “This move will make it easier for our Mexican friends to visit Canada while growing our economies and local communities.” Canada is pleased to deliver on the government’s commitment to lifting the Visa requirement for Mexican citizens. We look forward to the social and economic benefits that lifting of the visa requirement will bring to both countries, especially to the middle class here in Canada” he added.